Size : 15.9 x 20.0 inches. / 40.5 x 50.7 cm. 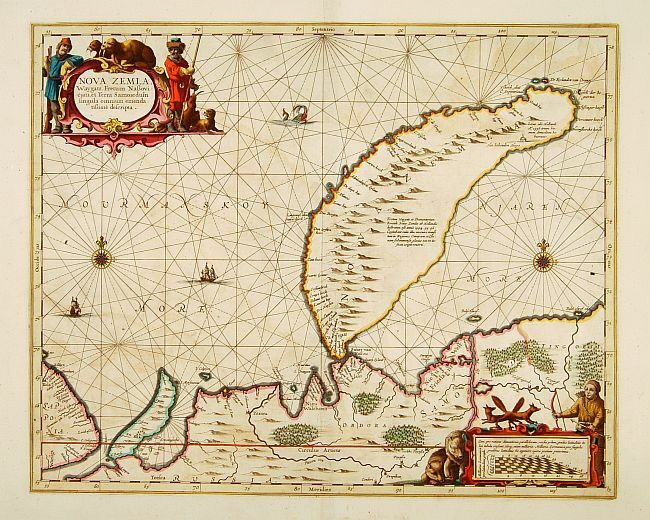 Description :The Dutch were the most persistent searchers after the north-east Passage, whether to the north of Novaya Zemlya (whose west coast is shown in detail) or through what they called Nassau Straits to its south. Condition : Some slight age-toning of paper. Very good condition. No text on verso.